Please Look Out For These Bears! 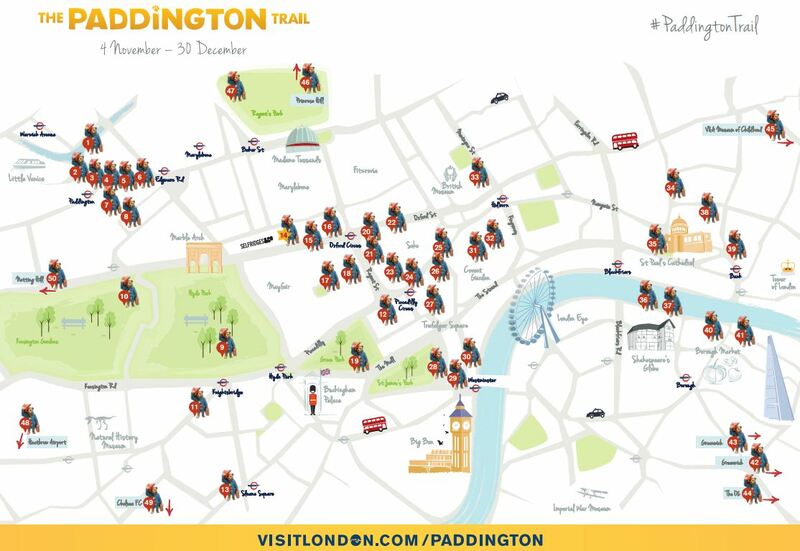 The Paddington Trail launched in London this week; fifty individually decorated statues of the famous bear have been placed around the city timed perfectly, of course, with the release of the new Paddington film. You can download a map, courtesy of Visit London. Here’s the actor Hugh Bonneville, who plays the Peruvian stowaway’s adopted dad Mr Brown, launching the trail, and surely now claiming his place as a ‘National Treasure’. At the end of the event all the statues will be auctioned in aid of children’s charity The NSPCC; so it’s all in a good cause into the bargain (as the titular bear might say). As a lifelong fan, and one who shares Paddington’s family name, I admit I’ve been a tad worried about his latest incarnation. I grew up with the stop motion animation Paddington, voiced by Sir Michael Horden, so the prospect of a CGI bear filled me with trepidation. Having seen the trailer I am feeling better about it. But I don’t think anything will ever have the charm of the Filmfair shorts. One of my favourite childhood books was a Paddington picture book, with wonderful illustrations by Fred Banberry, about the bear wanting to create his own garden. I used to sit and stare at this drawing of him in the Brown’s garden; it was so cosy and comforting! As i got older and better at reading I moved on to the original Paddington books by Michael Bond and also his lesser known series about a guinea pig called Olga da Polga – a lost classic honest! Mr Bond was a BBC cameraman who started writing stories about a bear he’d bought for his wife at Paddington station, and I’m sure he never expected the worldwide phenomena his creation would become. I’m not sure if he started writing the stories for his children, but that would make it even more special. 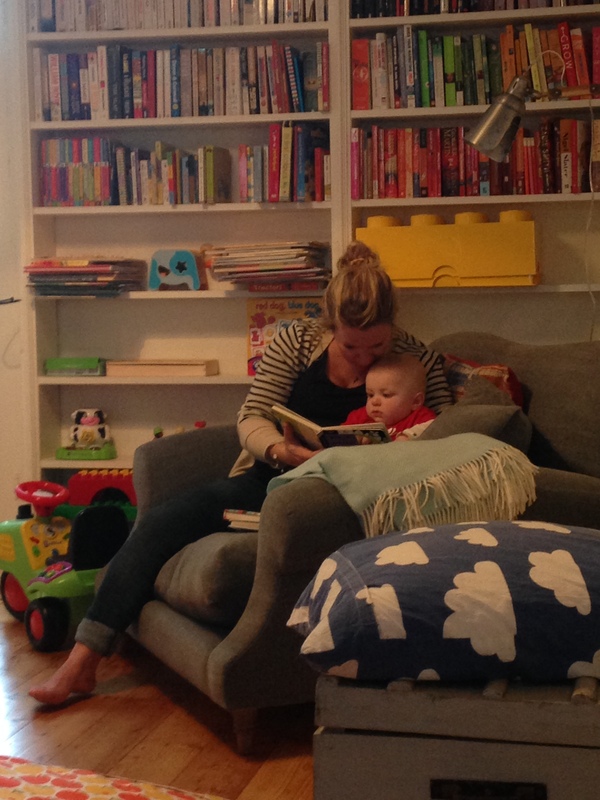 At the moment Baby B likes to eat books more than read them, but I suppose that counts as devouring knowledge? I do read to him, but lately he has stopped lying quietly in my lap at bedtime and instead insists on hurling himself off in an attempt to pursue his new-found crawling and standing abilities. He is also sadly too young to appreciate being wheeled around London searching for Paddington statues – but the bright colours will prove a hit I’m sure. I predict a lot of ‘Hadda hadda’; his current pronouncement on anything of interest. Are you a Paddington fan – will you be able to get out on the trail this autumn? I hope to share some photos in a later post! Full disclosure – this is NOT a sponsored post – I genuinely like Paddington! Thank you for your lovely comments. I’ll certainly take a look at the awards!